Are you ready for Bears vs. Cowboys? 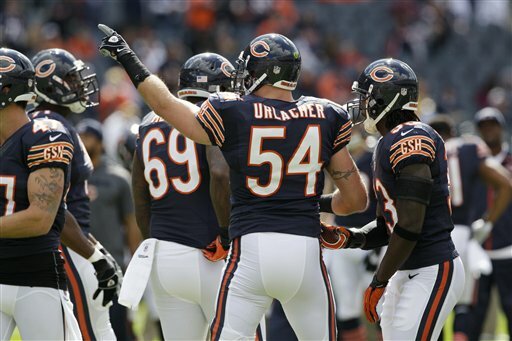 Bears defense led by Brian Urlacher goes to Dallas for MNF. 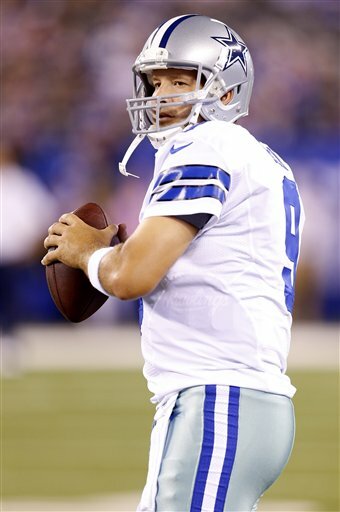 Dallas quarterback Tony Romo will challenge the Bears defense. It seems rather odd, but tonight will be only the second time the Bears and Dallas Cowboys will meet for Monday Night Football. Both are storybook franchises and much is expected of them. The spotlight of this nationally televised game will be extremely bright and every positive and negative will be seen. Since it is the only game on the schedule, the next day loser will get picked apart like the turkey after Thanksgiving. To that end, there are similarities: Both teams have highly scrutinized quarterbacks, with Jay Cutler for Chicago and Eastern Illinois product Tony Romo for Dallas. Each is considered a "franchise-type" player, however, neither have produced a win where it matters — at the Super Bowl. Right now the two teams’ records are 2-1, after opening with a strong offense in the first game these clubs limped along in the next two. Both defenses have played well; the Cowboys are ranked number one overall in the league. Dallas has played the pass very well with their revamped secondary. Their big time player, defensive end DeMarcus Ware, will cause problems with — guess who — J’Marcus Webb. Cutler talked about dealing with Ware (he has four sacks): “If you leave him alone too many times one-on-one he is going to make a play. You have to keep him guessing.” It will help the Bears offense if an effective Matt Forte is in the backfield; he is a good blocker and the run game has to get established. Two areas the Bears mentioned this week they want and really need to see improvement during the game: produce on first and second downs. Too often the Bears have shot themselves in the foot with a penalty, poor execution or a 3 and out. The other area the Bears have been trying to get right all season: protecting Jay Cutler and keep the pressure off him. Like the Cowboys, the Bears defense has been the team’s strength; the play of the defensive line has paid dividends. Opposing quarterbacks and their offensive lines have gotten plenty of pressure. Up the middle with the Bears tackles, including second year lineman Stephen Paea they have done their job. ”We have depth in our defensive line, whoever is in there you have to show up,” he said. Tonight they will have a good challenge with Dallas quarterback Tony Romo. Paea said he is a difficult quarterback to sack. “He won’t let you take him down, and he’ll roll out look for his receivers and extend the play,” said Paea. His favorite targets on offense are wide receiver Dez Bryant and tight end Jason Witten. The Bears secondary play has been balanced by the team’s play up front. If the Bears are unable to contain Romo, cornerbacks Tim Jennings and Charles Tillman will be dealing with some one-on-one situations. This is where the game may be really interesting since — cue the trumpets — the real honest to goodness referees may be a factor. For the first three games, the inconsistencies by the replacement officials led to some very physical play between the secondary and receivers. Some players took advantage of the situation and now may have to dial it back. There didn’t seem to be that problem for the Bears; we’ll see if will be an issue for the Cowboys. There may be some pains dealing with crews that have been idle for months. Most players last week said they would rather deal with rusty refs and get the game’s integrity back on track. Bears wide receiver Brandon Marshall did express some kind words to the now former referees. “Those guys did the best they could do and I appreciate that,” said Marshall, but he and everyone else in the league are relieved the situation is resolved. There is no way the NFL could handle another Monday Night Game outcome like last week. 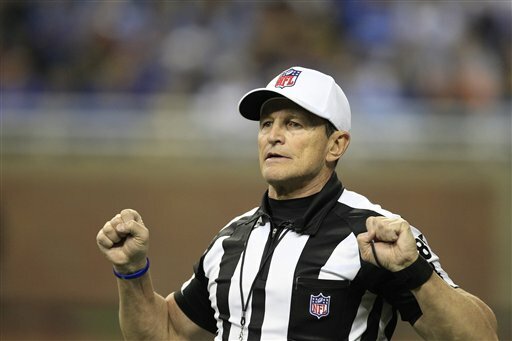 Tonight after the initial pleasantries between the players and officials before kickoff it will be down to business for the Bears and Cowboys and back to normal, where the referees take control, know the rules and will not botch a final play. . . we hope.